Nowadays, Internet is viewed as a main tool to market products and services. Therefore, we must recognize the value of direct mail, which is a kind of the marketing manners. 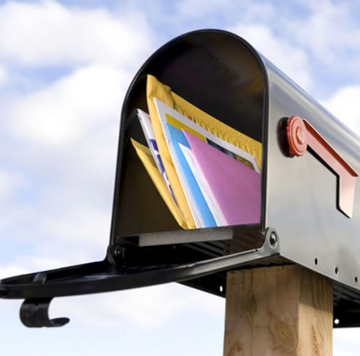 It is the successful connection between enterprises and their customers with direct Mail that shows direct mail is still effective and efficient. One of the reasons that direct mail is still such a powerful resource for the canny marketer is that you don’t necessarily have all of the email addresses for each of your customers. There’s just no way to ensure that every customer has an email address, but you do know that they have a physical mailing address. A simple direct mail flyer can quickly and easily reach those people with news of the latest promotions and deals. If your product is particularly expensive, you may find it difficult to attract a quality of response from an email. There’s still something more credible with enhanced integrity about receiving something printed, something tangible, something you can touch, through the post. Emails can easily be deleted or automatically sent to Junk Mail, but a real piece of paper is difficult to ignore. Direct Mail still gives you the best chance of getting noticed. It’s also much easier to follow up a piece of direct mail, rather than an email. People will remember the brilliantly crafted, well designed marketing postcard you sent, they won’t be as likely to remember one of two hundred emails they received that week. People are bombarded with electronic messages of all kinds, all day long. The way to really stand out is to put something real in their hands. Of course, one of the biggest and probably the oldest obstacles to direct mail marketing success is getting people to open the envelope. Direct Mail must now be smarter than ever. New ways of getting and keeping attention are vital. From handwritten envelopes to putting the message on the envelope itself and free CDs or DVDs, if we want Direct Mail to compete with email, we just need it to be smarter. If the Internet has taught us one thing, it’s that we can’t be lazy. Whatever we send out has to be attractive, has to grab attention, it must to have worth and demonstrate the value of the product. Because if we don’t do this, we can’t compete with the quick and easy email solutions. So if you want Direct Mail to still work as effectively for you, you’ve got to be innovative and work hard to attract attention and stimulate interest immediately. Direct Mail is still very much alive and kicking, it’s still the best way to grab the attention of prospective customers and clients and direct them to your product or service. Direct Mail really must still be part of your company’s overall marketing mix, because without it, you will be missing out on valuable sales.